A structured CV template for smart job-seekers who understand that they must distinguish themselves from the rest. A professional, colourful CV template. Perhaps you are wondering whether this is really necessary. A colourful CV template? Won’t the curriculum vitae be a little bit awkward? Won‘t it scare my new employer? The answer is that it depends on how colourful the CV template is and whether it is harmonious and generally elegant. You see, a colourful CV template does not always have to be a confused daub you can’t make heads or tails of! We have a very nice CV specimen. It is exactly the opposite! Time has moved on and the game of the classical black-and-white boring CV templates is up. Bravery, originality, professional impression, imagination and creativity are the winners nowadays. This applies also to CV templates, which may differ in colours, formats, designs and contents. Although imagination knows no boundaries, you must still bear in mind that you are creating the CV template in order to get a better future. Be different, professional and respectable. These are the recommendations for new job-seekers. The fight on the competitive labour market is easier only if you use an exclusive CV template or sample CV template for the creation of your CV. 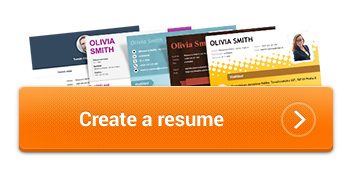 Sample CV templates may be downloaded from the Internet to your computer; however, it must be stated that they are not very ideal. The whole Word table or CV form collapses like a house of cards. The new Word formation has ceased to resemble the CV template long ago; the cursor flies away somewhere to the xth page, and to make matters worse, you realize in a panic that you have forgotten to save the CV template and the magical UNDO button has just stopped working! What follows are conditions of despair and frustration with no end, which sometimes easily change into conditions of panic or uncontrollable anger. You want to grab the entire computer and throw it through your monitor, using all your strength! Or to trample it underfoot! That would be even better! And what was at the beginning? Only your good will to do a useful thing and create your unique sample CV easily in the (sophisticated) Microsoft editor in a couple of minutes. We will give you advice concerning the CV template. A CV to be downloaded or sent by email in the form of an attachment or a link.